Basel/Taipei, 19 September 2018: The Straumann Group has signed agreements to buy further shares in T-Plus, the Taiwanese dental implant manufacturer, in order to gain a controlling stake in the company. The shares will be purchased from existing shareholders, increasing the Group’s ownership from 49% to up to 60%. The transaction is subject to approval by the Taiwan Investment Commission. T-Plus develops and manufactures attractively-priced dental-implant systems, which are sold exclusively through distributors in Taiwan and China. Its portfolio includes three tapered implant designs and covers a broad range of indications and customer preferences. The concepts, features and quality are similar to those found in popular implant brands, making T-Plus a very attractive, inexpensive option for dentists using systems like Osstem and Astra. While the premium implant market still offers significant growth potential in Asia, more than 6 million non-premium implants are sold there annually, of which more than a third are low cost. Straumann has been extremely successful in the premium segment, especially in the region’s largest market, China, where the company has built up a wide network of distributors supported by an internal specialist team. To create further growth opportunities, the Group entered the fast-growing value segment two years ago with the Anthogyr brand. T-Plus is financially successful and the Straumann Group currently recognizes its share of the company’s earnings as ‘income from associates’. It expects to consolidate T-Plus in the fourth quarter. 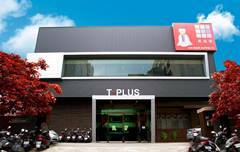 Located in New Taipei City, T-Plus Implant Tech. Co. Ltd. was established in 2008 and is owned by approximately 70 shareholders – including the three founders and the Straumann Group, which became the major shareholder in 2015. T-Plus’ portfolio includes the cost-effective Ti-Star, A+ and ST implant systems, which are sold through distributors in Taiwan, China, and the USA. The company currently employs a team of approximately 30, mainly in production, and its facility is capable of producing up to four hundred thousand components annually. In addition to approvals from Taiwan’s TFDA, the company holds the following certifications for all or some of its product families: GMP, European CE, China’s CFDA, US FDA 510(k), Korean FDA and ISO 13485 for medical equipment manufacturing. Headquartered in Basel, Switzerland, the Group currently employs approx. 5500 people worldwide and its products, solutions and services are available in more than 100 countries through a broad network of distribution subsidiaries and partners.